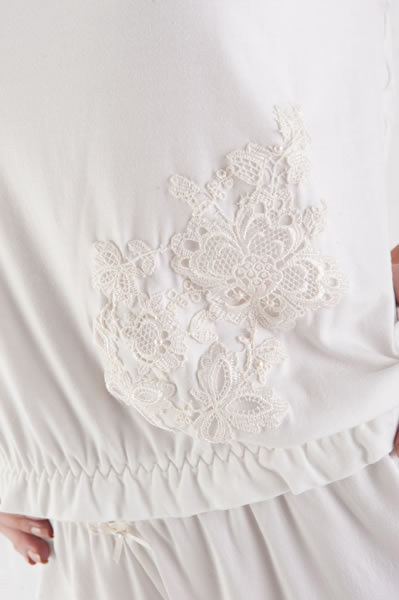 This super soft ivory camisole is made from a beautiful microfibre that you will just want to touch. The straps are silk satin and match perfectly to our french knicker and lounge pant. The front of this gorgeous camisole is embellished with stunning floral embroidery applique, which is highlighted with Swarovski pearls. A truly luxurious piece to have for your wedding day and honeymoon.